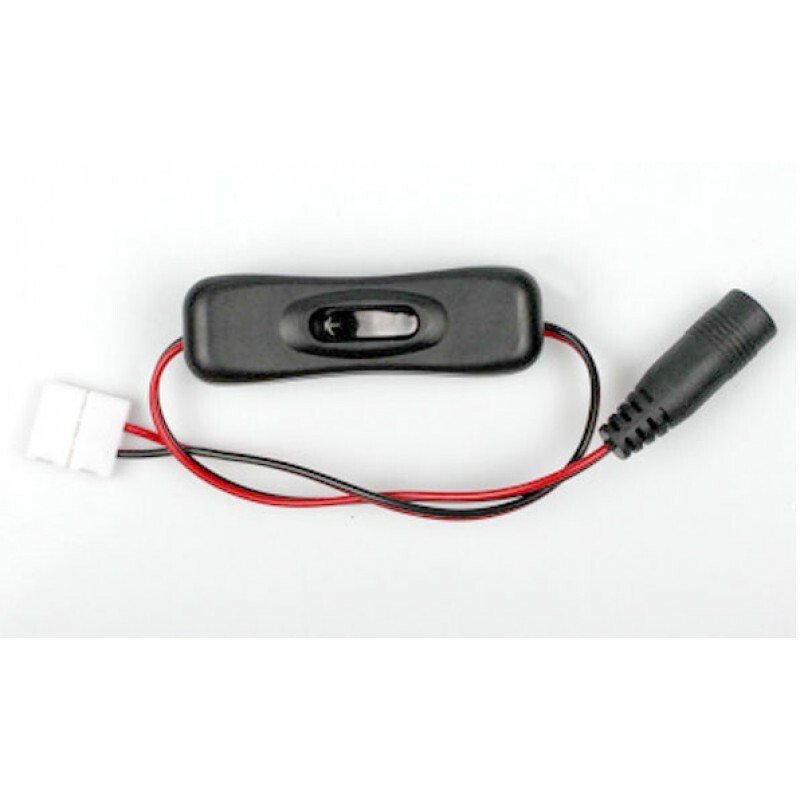 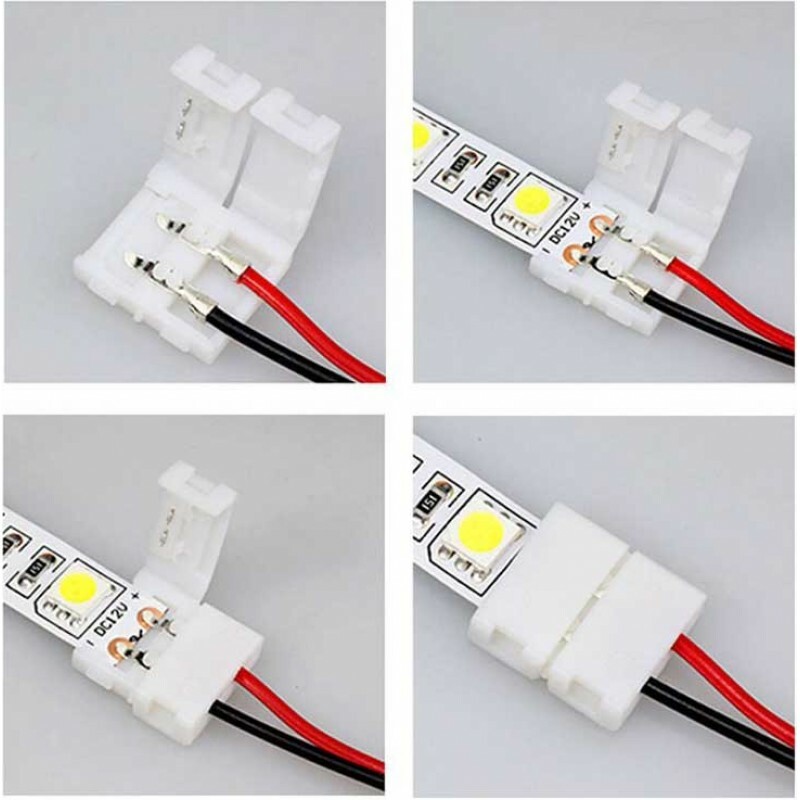 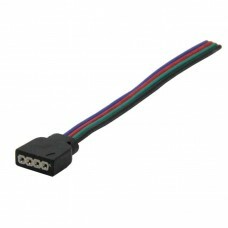 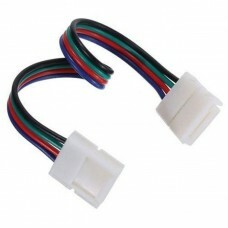 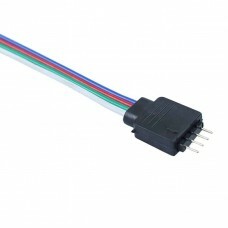 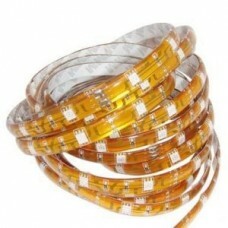 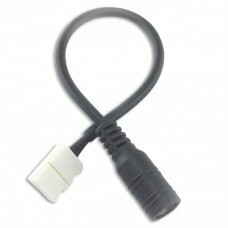 Connector cable with power switch for SMD 3528 8mm LED Strip Lighting. 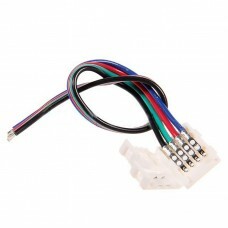 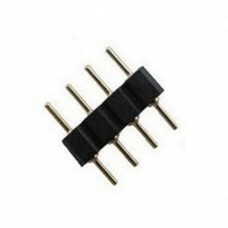 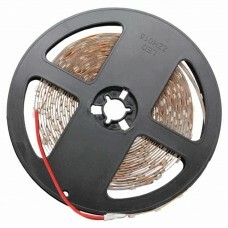 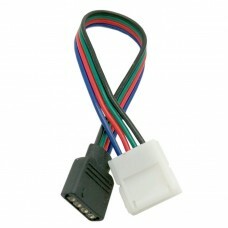 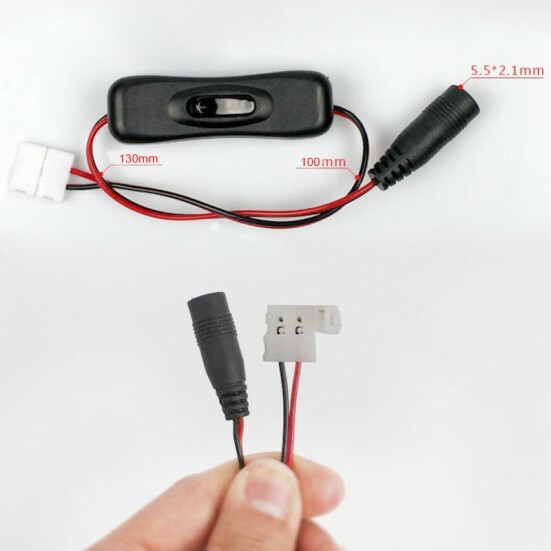 Connects firmly without soldering to 3528 8mm LED ribbons and to a 2.1mm connector to provide power with an inline switch to turn the LED ribbon on/off. 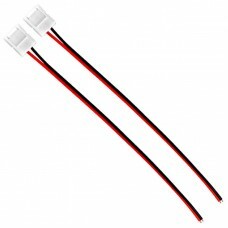 Connection leads on each end are approximately 10cm (4”) with an inline switch.